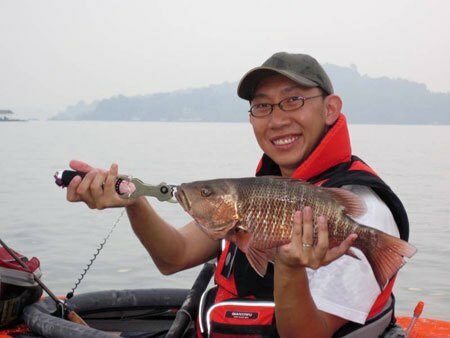 One stop fishing portal based in Singapore ranging from lure fishing to the up and coming craze of kayak fishing! Fish'in Singapore Forum the place to be! 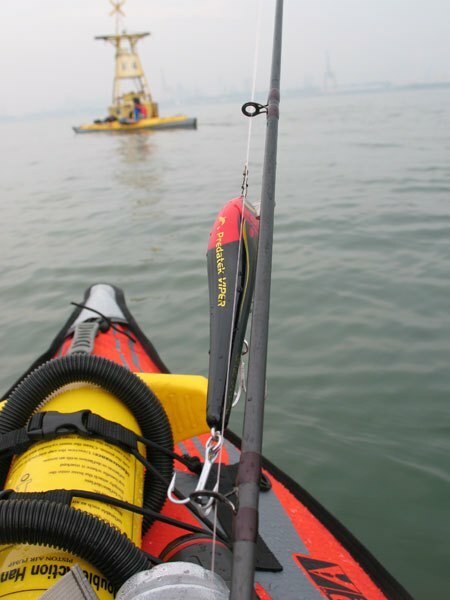 Today it’s the first time I’m setting off fishing in my own Kayak.. Arm with a Baitcaster set and some lures.. 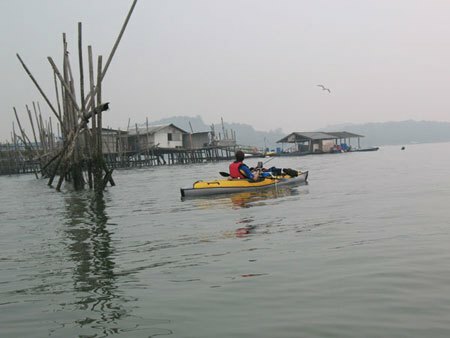 I met a regular kayak’er Ian (whom is from the UK) and off we set to our first destination. Coney Island, just about 10mins worth of peddling and we were on top of rocks and stuff. According to Ian he has been luring here on a boat before and they had like Groupers of decent sizes and advice to actually Fully Lock the Spool…. So of we went casting.. I started out with a small deep diver that could barely make it to the rocks.. and soon swap for a Predatek Viper.. The largest lure I had in my tackle box. I decided to case towards the breakwater area that had some steps and work the lure back. To imitate like bait fish coming out of the hiding ground. Within my 3rd cast and when I was talking I had a hit!!! BIG TIME!!.. WHAM BANG!!! Drag was peeling off which I was quite surprised and the fact it took on a lure that was large!! Within 30Secs the beauty beast from below was captured!!! It was about a 3lbs – 4lbs Mangrove Jack.. And it been my first wild Mangrove Jack and first fish on my new Yak was all to good to be true!! We cast around for quite abit more and decided its time to head out for some bait fish and started to peddling to the nearest beacon.. Pearly managed to get some while I just took some time to take pictures of him and the lure that caught me my first. 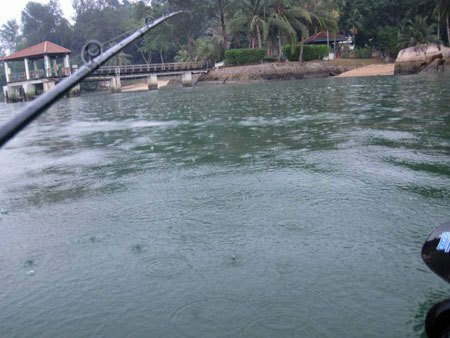 However the quality baitfish was not around so we decided to head over to the Kelong to try jigging for them near the sticks.. even though the fish finder shows alot of fishes below but nothing for us..
And before we know it we were fishing in the rain!!! 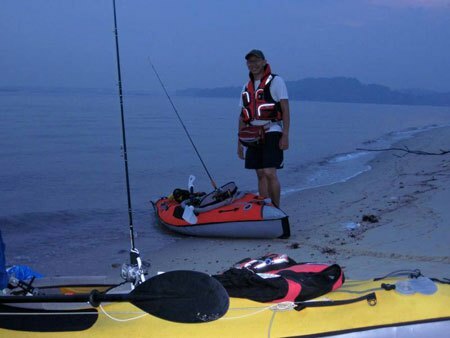 So we decided to try luring again at the spot where I caught my fish but still nothing LOL.. and decided to head back to shore after a 6hr session out sea on the Kayak..